Just like our product, we wanted to think outside the box when creating our test rig. Since most crashes we as riders experience are very violent and can include multi-directional forces experienced all at the same time, a better real-world testing method needed to be developed. The team at DRI was able to develop and create a custom built, repeatable forward/downward pendulum test rig (think Superman in a flying position) that not only measures deflection in the direction of our choice, but also compression to the head and neck caused by the secondary action of the body’s weight crashing down behind the head as it typically does in various violent motorcycle crashes. With our one of a kind test rig we are able to repeat controlled tests with our dummy face up, face down, and/or sideways with impacts into a custom built adjustable-angle surface to mimic various scenarios of common crashes. For example, with our dummy swinging horizontally to the ground, face down, into a 90 degree surface we are able to simulate a very common “lawn dart” scenario of a rider going over the bars, and impacting head first into the ground, a berm, or an upcoming jump face. This type of testing gives us extremely useful, and repeatable test data that we can use to further develop our products and the impacts that they face. Our Dummy is made up of an instrumented upper torso surrogate fitted with a Hybrid III head-form and a Motorcycle Anthropometric Test Device (MATD) neck, which was specifically developed (and certified) by DRI to be more realistic for data acquisition during motorcycle crash scenarios than a standard car crash type neck. Previous research at Dynamic Research has indicated that on the Hybrid III test dummy, the shoulder position relative to the head and neck is too low and not realistic of a 50th percentile adult male. In order to remedy this situation, a special upper torso was fabricated using a 50th percentile adult male as a casting model. Special attention was paid to the location of the shoulders relative to the head and neck in order to confirm that the surrogate was representative of the 50th percentile adult male. Instrumentation on the surrogate included a 9 accelerometer array mounted inside the Hybrid III head-form for measurement of linear and angular accelerations as well as a 6 degree of freedom upper neck load cell that monitored three dimensional forces and moments. A digital high speed video camera collecting data at 1000 frames per second is used to capture all impacts. The complete upper torso fixture, and the MATD neck are shown below. Put on your Prodigy brace, and test the fit. 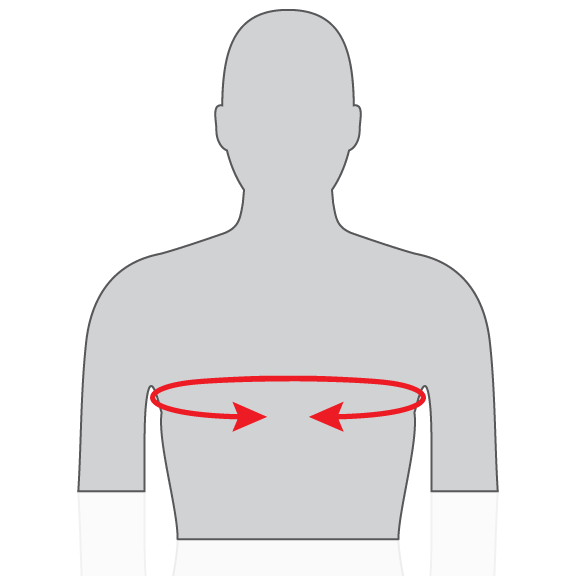 The chest, back, and shoulder padding should be resting snug against your body. Each Prodigy brace features our rear Smart Mounts. Smart mounts are reversible to make the brace fit a thicker chest, and they also feature 3 angle adjustments to help fine tune the fit. If the brace is too tight and not resting down flush on your shoulders, try reversing the position of the Smart Mounts. Certain body types may want to adjust the angle of each back support, and you can choose from -10, 0, or +10 degrees to make sure each back support sits flat against your upper back. Each Prodigy comes with our Jr Hybrid strap - It combines the versatile function of the common elastic “X” straps, with the comfort of a chest strap. To wear the Hybrid Strap, put it on just like a t-shirt - First put each arm through one of the sides, then lift it up and put your head through the middle, making sure the thinner straps end up over top of your shoulders, and the thicker straps end up around your chest. Adjust all 4 straps to the desired length - It works best when the thicker straps around your chest are sitting flat, instead of pulling at an upward angle. You can wear the Jr Hybrid strap over or under your jersey.